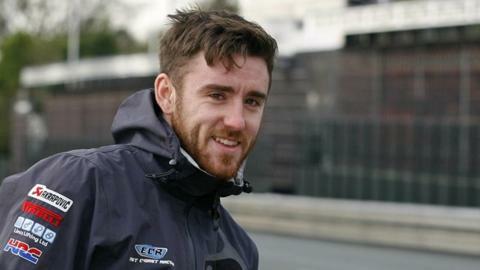 Northern Ireland's Lee Johnston has said the Isle of Man TT is his "number one priority" in 2015 after signing for East Coast Construction Racing. The move will see the 26-year-old from Fermanagh switching from Honda to BMW machinery for his assault on the international road races. He will contest the Superbike, Superstock and Senior TT races in June. Johnston will also represent the team at the NW200, Ulster Grand Prix and Macau Grand Prix. The Hull-based racer said: "I think we showed our potential in 2014 and as a team we are now looking to build on that with the aim of being a regular feature on the podium at the international road races." Johnston is the latest racer to announce he is moving to BMW machinery for the TT, joining other racers such as Guy Martin and William Dunlop in doing so. He will also ride a Triumph Daytona in the Isle of Man events two Supersport races.